Did you know over 79 percent of Americans now shop online? As an entrepreneur, there couldn’t be a better time to break into the ecommerce space. However, just because the vast majority of the population is shopping online doesn’t necessarily mean your ecommerce store will be successful. 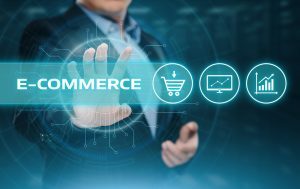 In fact, ecommerce businesses have an 80 percent failure rate. In this article, we’re sharing 7 things you need to know before starting an ecommerce store. The first step to starting a successful online business is to find a niche. Sure, nothing stops you from starting a general store, but you wouldn’t be doing yourself any favors. You know, that’s like going to war with massive general ecommerce stores like Amazon and eBay. On the other hand, focusing on a specific market enhances your chances of finding success. There’s lower competition and it’s easier to craft a targeted digital marketing strategy. Another factor to consider when choosing a niche is your access to the products. If you want to open a pet supplies store, for instance, do you have the expertise and facilities to make the supplies? When it comes to ecommerce stores, a name is everything. While the right name can differentiate your brand and accelerate its acceptance among target consumers, a wrong name can cost lots of money in rebranding efforts. Even though there’s no one-size-fits-all solution to naming an online shop, an ideal name should be catchy and relevant to your niche. Catchy because you want it to be memorable, and relevant to your niche because of search engine optimization purposes. In addition to naming your store, you must also craft a catchy tagline, design a logo and choose the colors that’ll represent your business. These elements are vital to the development of your brand. In every ecommerce niche, you’ll still find established and dominant stores. This means you’ve to work harder to attract customers who might be already loyal to other brands. One of the things you can do to catch the attention of potential customers is to sell quality products and use a good packaging design. If the product pleases your first batch of customers, there’s a good chance they’ll become repeat customers and spread the word to people in their social circles. 55 percent of internet users spend no more than 15 seconds on a website. Clearly, the odds of creating a successful website are stacked against you. The good bit is you have the power to make your site visitors stay longer and even explore multiple pages. What you need to do is ensure your website is built to attract and convert. If you’ve no web design and development experience, this isn’t the time to DIY Outsource the job to an experienced ecommerce site developer. As a standard, an ecommerce website must have fast-loading pages (under 3 seconds), responsive design and HTTPS encryption. Your developer will also set up online payment solutions for the store. If you don’t need to have your own ecommerce website – maybe you want to sell your products on Amazon – it’s still important to customize your store’s page. This’ll go a long way in giving your buyers a custom shopping experience. In a marketplace where about 56 percent of online shoppers expect same day delivery, your shipping strategy can make or break your business. If you take longer to make deliveries, expect to lose customers. As such, it’s advisable to define your shipping strategy before you launch the store. You can offer same-day, next-day or 2-3 day delivery. You’ll also need to figure out whether you’ll handle your own deliveries or outsource to an order fulfillment service. If you’re an Amazon seller, you have a third option: Amazon FBA (Fulfilled By Amazon). At a fee, the ecommerce giant will ship the orders for you, but you’ll have to deliver the products to Amazon fulfillment centers. Be sure to learn more about Amazon FBA before making a decision. Unlike in-store shoppers, online shoppers cannot physically examine a product before making a purchase. They rely on photos and videos to vet the design and build quality of products. Before you open your store, ensure you have a quality camera at your disposal. Every product image you post on your store’s pages should be of the highest quality. You don’t want buyers abandoning their carts because of poor product images. In addition to viewing photos, customers read product descriptions to learn more about a product’s functions, features, specifications, and other useful details. A product description should be short, precise, and attention-grabbing. If you haven’t mastered the art of writing product descriptions, consider hiring a copywriter. Alternatively, you can hire an SEO agency to handle all your digital marketing needs, from content creation to paid advertising. You’re Ready to Start Your Ecommerce Store! Every day, hundreds of ecommerce stores go live. With the digital marketplace getting crowded and competition getting stiffer, you cannot afford to lay a poor foundation for your store. Lucky for you, we’ve shared the information you need to know to open an ecommerce store that will conquer the market. Good luck and stay tuned to our blog for more tips on how to make money online.